This is not another headline from the news. In fact, it’s the take-away message from a paper that my co-authors and I just published. I work on unusual plants. Some of them make clonal seeds, perfect copies of their mother’s genetic makeup. But not all of the populations do this – some populations are “normal”, with embryos produced sexually, when pollen fertilized eggs. 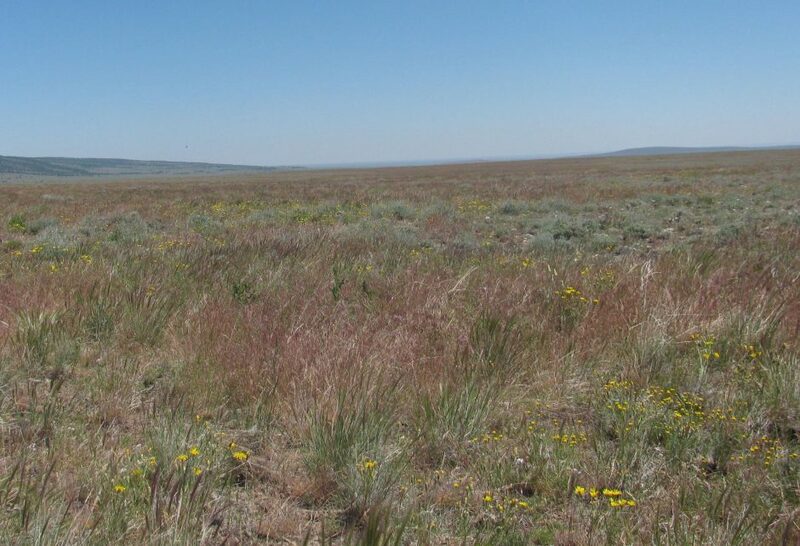 The plant group that we work on is called the North American Crepis agamic complex. The type of clonal (asexual) reproduction that we find in Crepis is called apomixis, and it exists in less than 1% of plant species – weedy dandelions are another example. Much of the work in my lab has focused on understanding how these two very distinct strategies, sexual and asexual, can exist within the same group of close relatives. 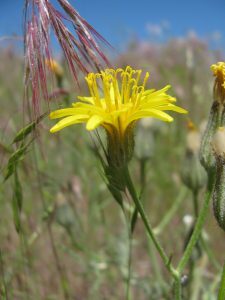 When I was out doing field work in California and Oregon as a student, I noticed another odd thing about Crepis. It is common for two or more species of Crepis to occur together. This is unusual because most of the time, closely related species don’t occur together. In fact, this pattern was described by Darwin more than 150 years ago. Darwin thought that because related species have similar needs for food or space, they likely compete intensely until only one of the closely-related species is left in a particular place. In Crepis, closely related species are often (but not always) found growing intermixed with each other. Sometimes up to 4, 5, or 6 species occur together. I’ve been wondering about this pattern for a while – a long while. My idea about what allows co-occurrence in Crepis is based on another observation: asexual plants still produce pollen, even though they don’t need pollen to produce seeds. This pollen doesn’t do anything when an asexual occurs alone or with other asexuals. However, if a sexual species occurs with an asexual, pollen from the asexual can fertilize the ovules (eggs) of the sexual plant. This is almost always bad for the sexual plant because the offspring from these crosses are either less healthy, less fertile, or asexual. Over time, we expect that a sexual species that co-occurs with an asexual will be eliminated because of the reproductive costs. The idea that we set out to test is that this disadvantage to sexuals in the presence of asexuals would lead sexuals to occur alone, rather than in sites they share with close relatives. The opportunity to test this idea came about because of data gathered by recent my recent Ph.D. student, Chris Sears. 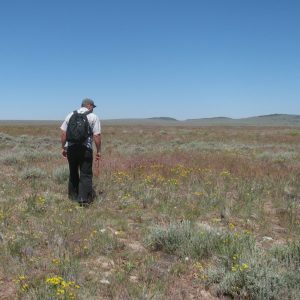 Chris took a fresh look at the Crepis system, using a technique called flow cytometry. 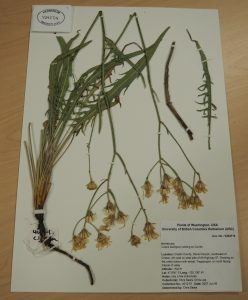 This allowed him to categorize each of about 600 samples of Crepis that he collected as either sexual or asexual, based on the amount of DNA in the leaf cells (asexuals have more DNA per cell than sexuals). His aim was to understand the evolutionary history of the group, but he also gave us a lot information about who co-occurs with who, and we used this to see whether asexuals and sexuals were equally likely to co-occur. Our results supported our idea about reproductive interactions: sexuals occur alone more often than expected by chance, while asexuals seem to freely co-occur. The fact that asexuals can co-occur is what tells us that the sorts of forces that Darwin thought would limit close relatives from co-occurring are not important, at least in Crepis. I think this result is important because it tells us something new about the forces that act to limit where species can grow. In addition to studying competition for food and space, if we want to understand where species occur, we need to consider the potential for negative reproductive interactions and how these have shaped the distribution of species in nature.